Listen up, marketers: fingers, pencils and keyboards are no longer the all-mighty power; to connect with consumers in the future, you’re going to have to find your voice – literally – because voice control assistants like Siri, Cortana and Alexa are reshaping customer digital interactions and the path to purchase. Let’s focus on Amazon’s Alexa, specifically. When combined with Amazon Prime – Amazon’s subscription delivery service, which permits unlimited postage-free ordering – it creates a new environment for retail. 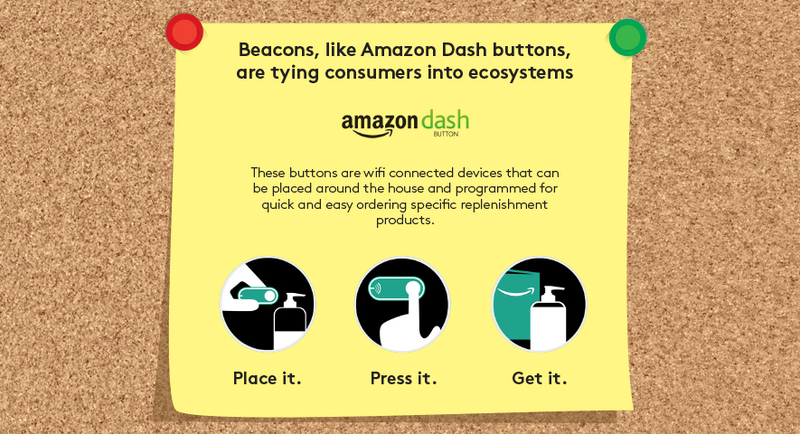 An Alexa house with multiple beacons enables consumers to make voice-activated purchases. These new ecosystems are changing the path to purchase, and require brands to re-engineer their marketing models (not just their approach to social), in order to get consumers calling them out by name. This is particularly significant for FMCG brands. If a consumer’s home is automatically re-ordering products when they run low, or people are simply calling out ‘I need batteries’, then their path to purchase becomes very different. In these circumstances, how determined do you think your customers will be to buy your brand? 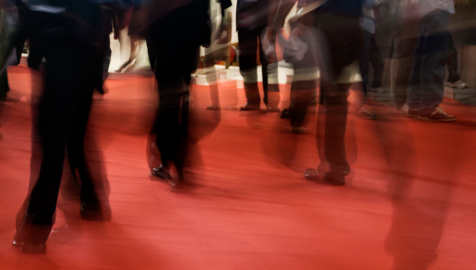 Have you built enough loyalty and desire to make them demand the products you sell? Will your consumers buy your product in any circumstance? Or if they need batteries before tomorrow’s camping trip with the kids, will they just get the first ones Alexa suggests? 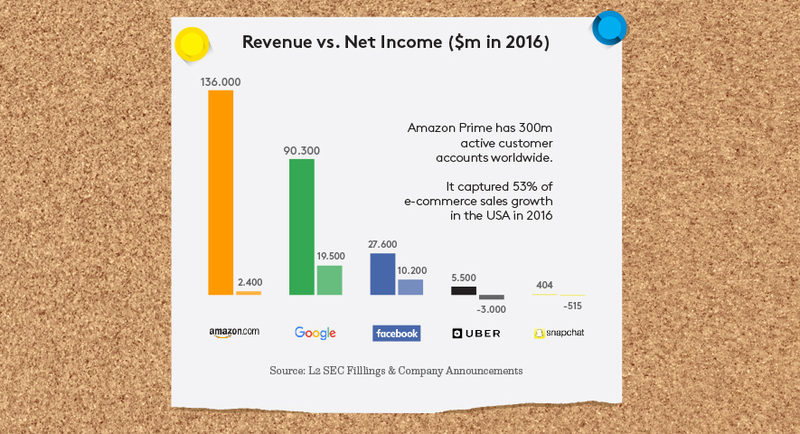 The brand they ultimately chose will determine whether Prime has won or you have. Consumers have to actively change their preferences on Amazon before “Alexa, order nappies”, for example, becomes “Alexa, order Pampers”. This will make it harder than ever to drive preference. To cut through, you will need to rethink how you build effective memory structures and change your call to action – fast. Sticking with the nappy example, think about how you could reimagine a TVC to feature Alexa. This time, the story could start before the happy nappy change, with ‘the call’ and ‘the delivery’. The ad would show how the branded nappies – ordered via Alexa – will make both parents’ lives easier and give them more family time together. That’s a story any parent will buy. 3. 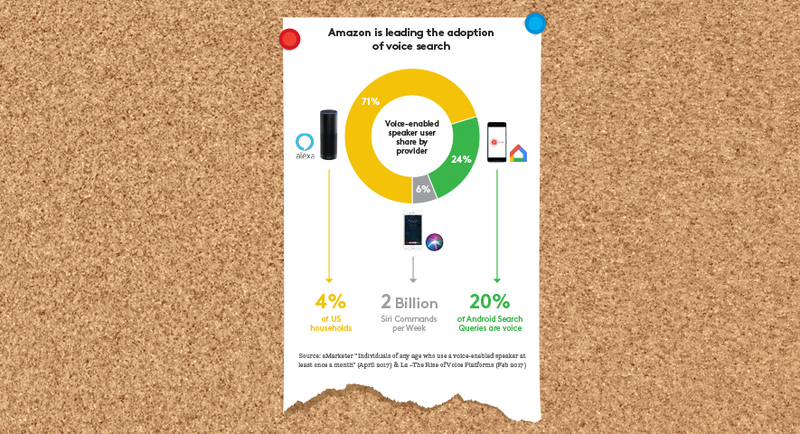 Voice is changing purchase patterns (and collecting data all the time). In order to understand what to say and when marketers need to mine data and analytics more deeply in order to understand purchase order patterns. 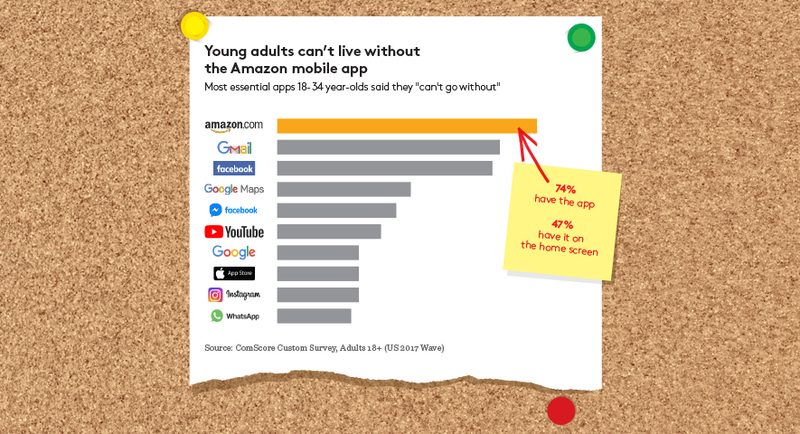 We already know, for instance, that young adults can’t live without their Amazon mobile app. Among 18-34-year-olds, 74% have the app, and 47% have it on their home screen. 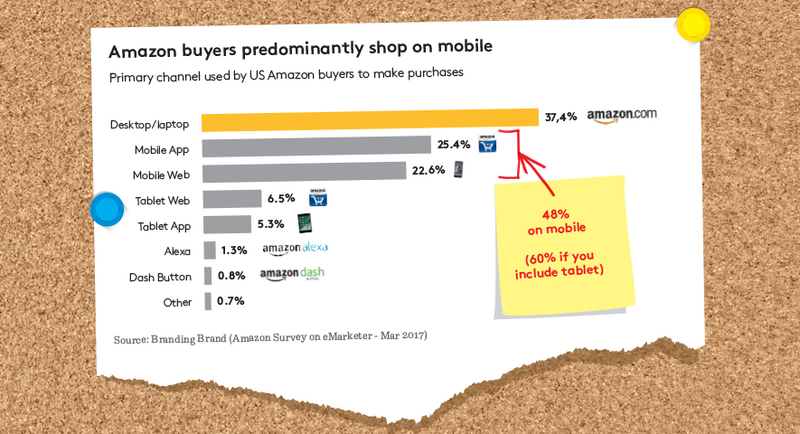 What’s more, 48% of Amazon sales come from mobile. So brand needs to optimise for this space. 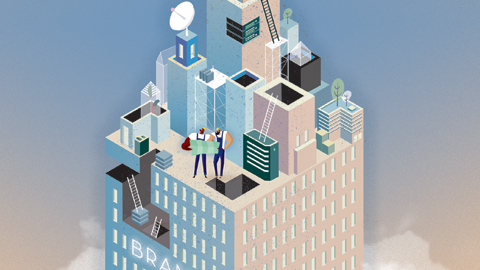 Brands need to up their game when it comes to communications on and around Prime. That means investing more in robust content, SEO and Search strategies to drive discoverability. 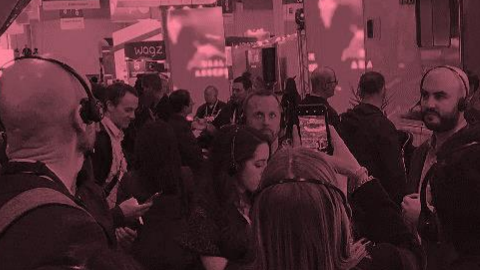 With so many products vying for the same consumer’s attention, it has never been more important to be ‘relevant and personal’ in your messaging. Programmatic media buys are useless unless your creative is dynamically optimised to a person, place and motivation. As a brand marketer, you need to revisit your communications production process to ensure you are set up to deliver multiple varieties of content, across multiple channels, in a constantly changing marketplace. And you need to do this cost-effectively. The current creative agency model is built on a market that no longer exists, one where every change costs too much time and too much money. The reality is that marketers now need hundreds of types of content, regularly and customised to channel, moment and message. You need new ways of working that can optimise your production in order to deliver timely, relevant, quality, personalised messaging. Voice demands an approach that always marries data and creativity. Crucially, all these factors require marketers and their agencies to look deeply within themselves and start thinking hard about their brand’s ‘home voice’. 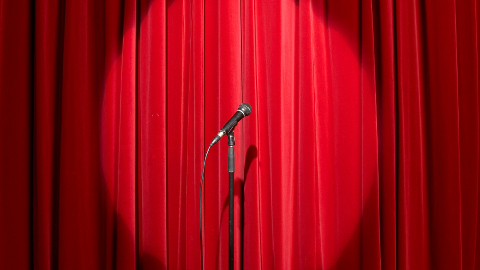 This voice is going to become critical because, unlike their loud, above-the-line voice – the one they use in TVCs, radio and cinema ads, for example – which shouts to be heard over all the other noise and commands the audience to pay attention, a brand’s home voice is, well, quieter, more personal, conversational and friendly. It’s the voice you use to chat with a friend. It’s warm, honest, fun and giving, and it invites conversation. It’s good to talk. A version of this article was first published by AdNews Australia here.